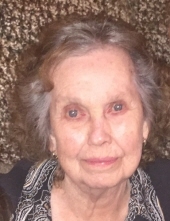 Elizabeth V. Lutz, age 94, of West Mifflin, formerly of Baton Rouge, LA, peacefully embarked on her next adventure in the care of her Lord and Savior on April 11, 2019. She is survived by her beloved children, Henry W. (Debe Bairen) Lutz, Jr., Richard James (Cheryl) Lutz, and George Thomas (Angela) Lutz; grandchildren, Henry, III (Tracy), Edward (Margaretta), Jason (Linda), Angie (Brian), Michael (Deanna), Dana, and Darcy Bairen; great-grandchildren, Matthew, Emma, Danielle, Sydney, Jack, Eloquence, and Lily; and sisters, Theresa Yates and Emily Jumonville. She was preceded in death by her husband, Henry W. Lutz, Sr. During World War II, she worked for Delta Shipyard building Liberty ships in service to her country. She was a faithful member of Holy Spirit Catholic Church since its opening. She was a loving mother, grandmother, and great-grandmother. Visitation will be held on Monday, April 15, 2-4 & 6-9 PM at the JEFFERSON MEMORIAL FUNERAL HOME, INC., 301 Curry Hollow Rd., Pleasant Hills, 15236. A Mass of Christian Burial will be held Tuesday, April 16, 12 noon, at Holy Spirit Parish, West Mifflin. Interment will follow at Jefferson Memorial Park. Condolences may be left at www.jeffersonmemorial.biz. To send flowers or a remembrance gift to the family of Elizabeth Mae Lutz (Viccellio), please visit our Tribute Store. Interment will follow at Jefferson Memorial Park. "Email Address" would like to share the life celebration of Elizabeth Mae Lutz (Viccellio). Click on the "link" to go to share a favorite memory or leave a condolence message for the family.